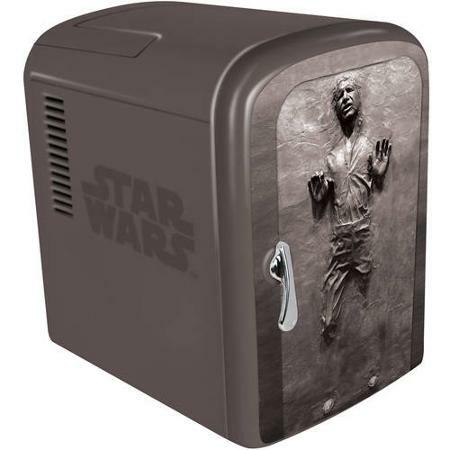 Prepare your geek-caves because Electronic Arts has announced a ‘Walmart Exclusive’ version of the Deluxe Edition of its upcoming Star Wars multiplayer shooter, Battlefront, that features a nerdgasmic Han Solo in Carbonite mini-fridge – yes, an actual fridge! The ‘fridge edition’ of Star Wars Battlefront is currently only available for pre-order at Walmart in the United States of America. This new bundle is essentially the Deluxe Edition of Star Wars Battlefront, but with the addition of a mini fridge. As such, gamers who are interested in this bundle will be glad to know that it is available for both the PlayStation 4 and Xbox One [no luck for PC gamers – Hans]. 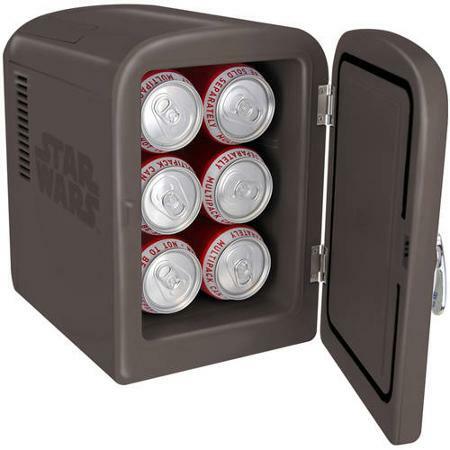 In addition to the mini-fridge being designed to resemble the frozen carbonite prison of the galaxy’s favourite mercenary, it also comes with a variety of features such as a carrying handle, removable shelving and enough space to hold six 350ml soda cans. The most interesting feature of this fridge, however, is that, according to its Wal-Mart page, it also has a “warming function” to keep your food warm. A fridge that both cools and warms its contents… ingenious! The ‘fridge version’ of the Deluxe Edition of Star Wars Battlefront is currently exclusive to Walmart, which means that international gamers are fresh out of luck because they do not offer shipping outside of the continental United States of America. The ‘fridge edition’ of Star Wars Battlefront retails for $130 USD (~R1500 ZAR) and is due for release when the game officially ships on the 17th November 2015 for PlayStation 4, Xbox One and Windows PC.